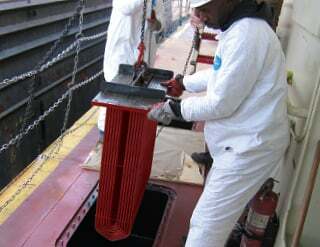 It operates in a sea chest within your vessel’s hull protected against underwater hazards. 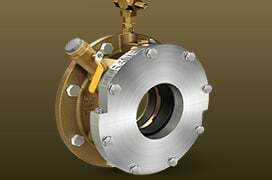 It can meet the specific cooling needs of your engine as well as the cooling needs of multiple heat sources, while using less space in your vessel. 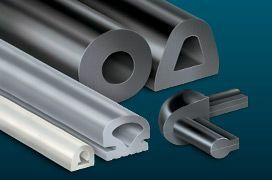 A Proprietary heat-cured synthetic coating protects the cooler tubes unit from galvanic corrosion. This coating is resistant to saltwater, polluted water and chemicals. 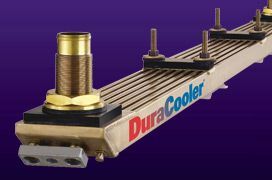 The BoxCooler works on the principle of Thermal Siphoning. This is the movement of heated water due to convective currents. The fact that hot water will rise and cold (denser) water will fall, results in a natural movement of water or circulation through the sea chest. 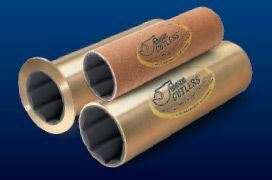 Engine’s cooling water is pumped through a highly efficient aluminum brass (CuZn20Al) tube bundle. 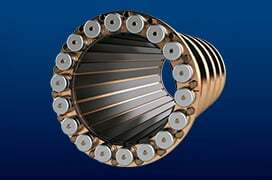 Openings at the top and bottom of the sea chest create a convection current which flows over the tube bundle and transfers heat into the sea. 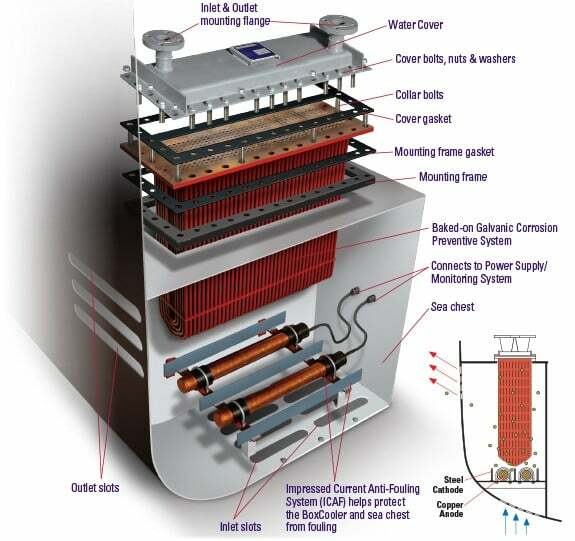 Impressed Current Anti-Fouling System (ICAF) prevents fouling caused by marine growth. Artificially triggered voltage differential between the copper anodes and the cathodes causes copper anodes to dissolve. Copper ions are formed, preventing the build up of marine growth. Duramax® is a registered trademark of Duramax Marine® LLC. Duramax Marine LLC is an ISO 9001:2015 certified company.